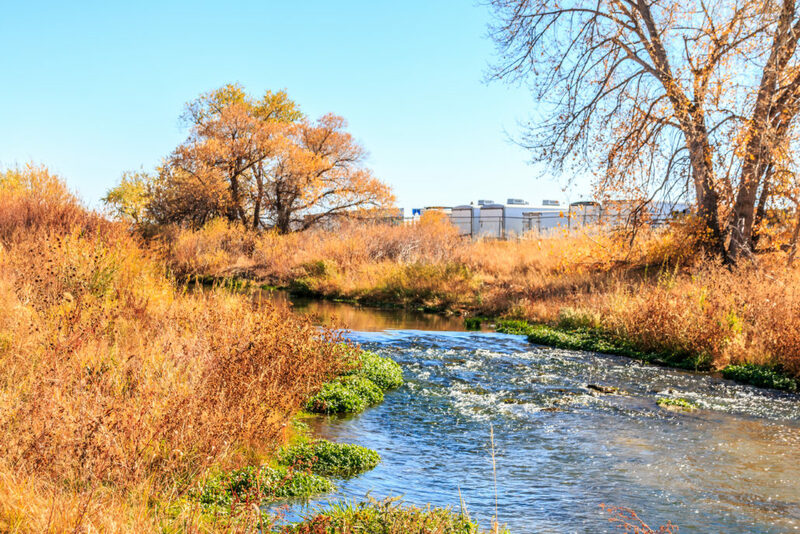 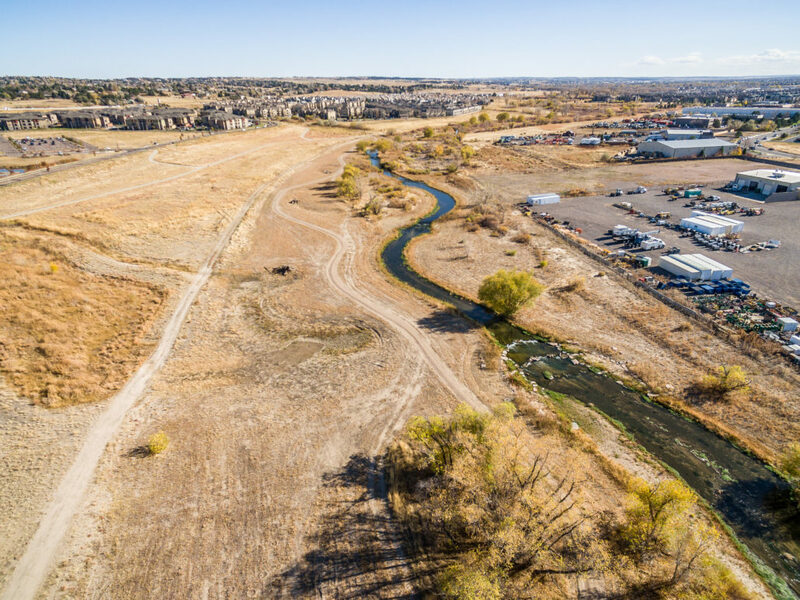 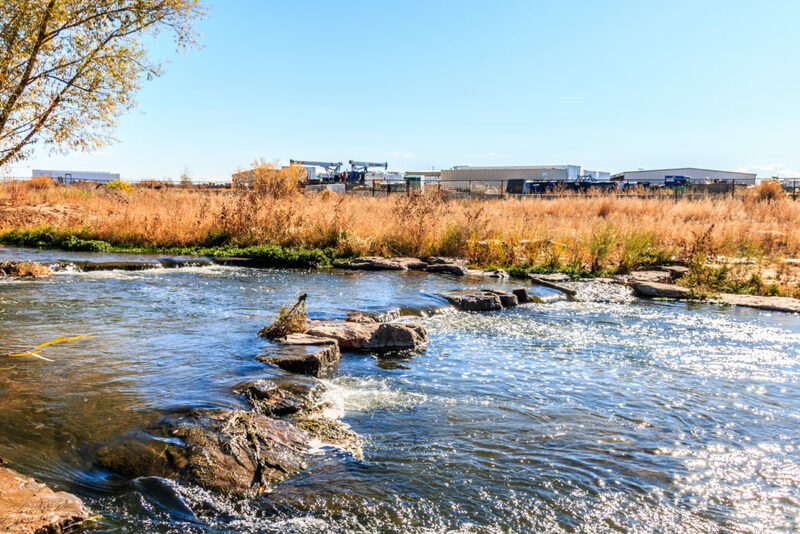 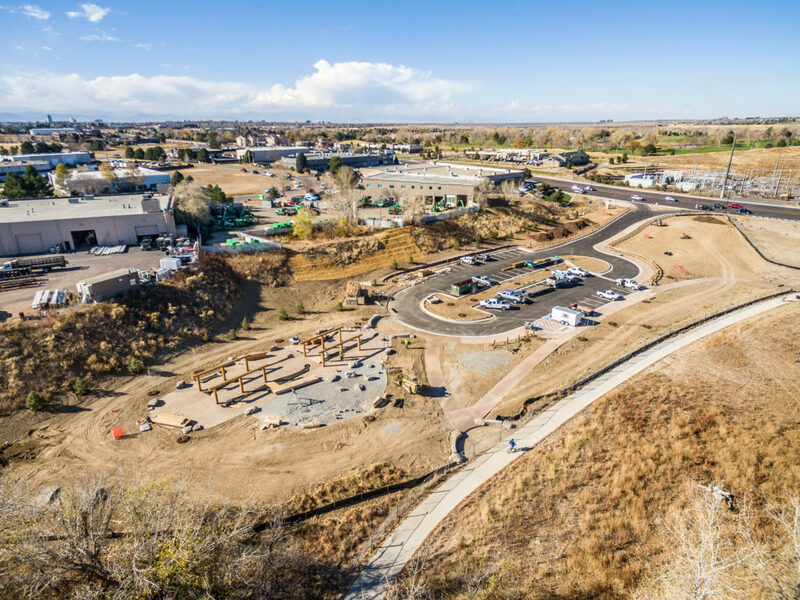 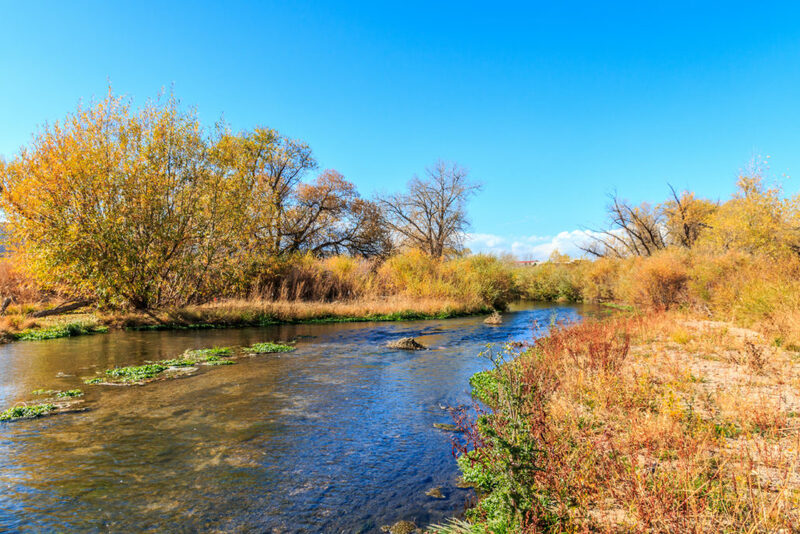 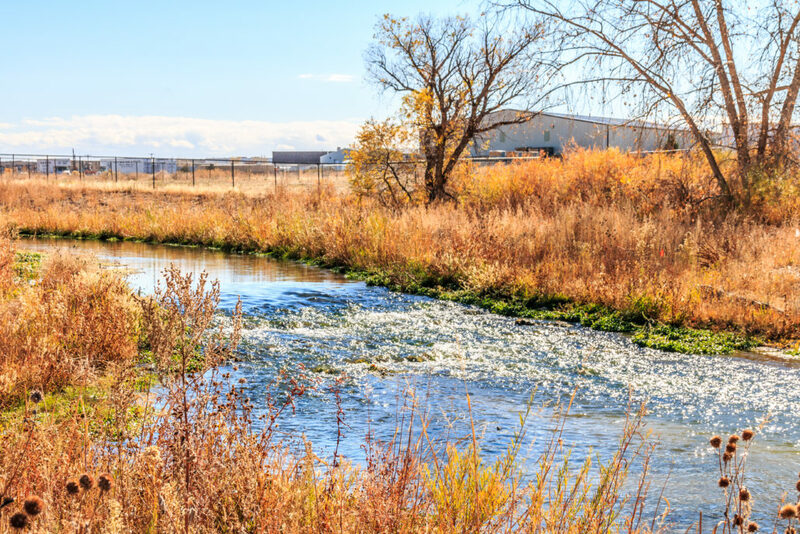 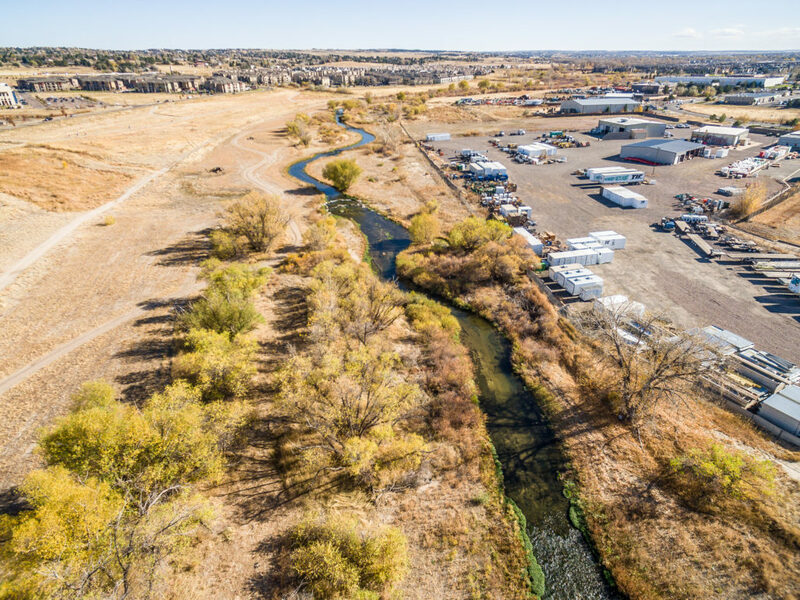 The goal of this project was to restore and stabilize the Cherry Creek Channel along an area bordered by E. Arapahoe Rd on the north, S. Jordan Rd on the west, E. Broncos Pkwy on the south and Parker Rd on the east. 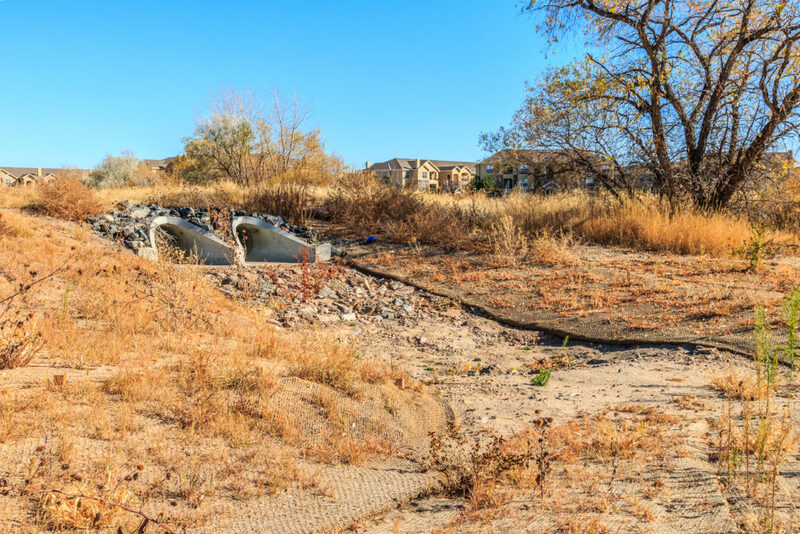 The channel was modified to allow storm flows to over bank in areas, protecting the existing infrastructure. 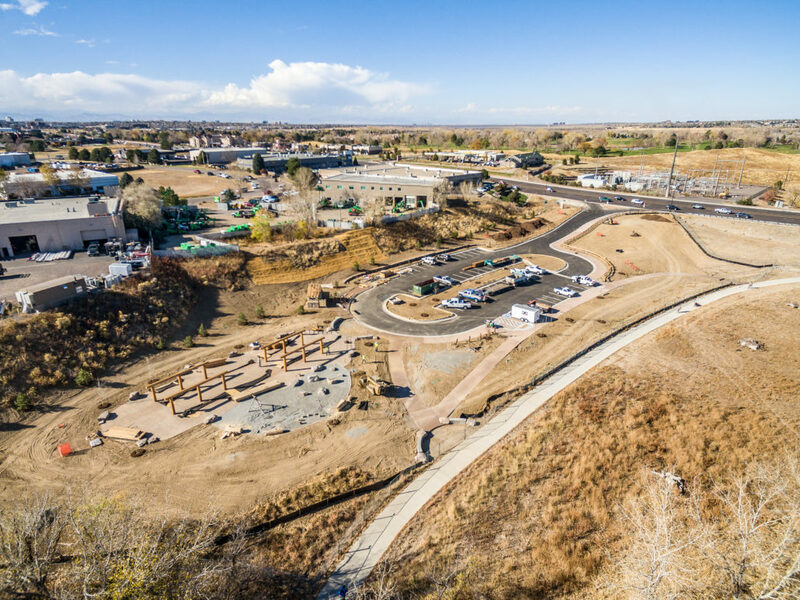 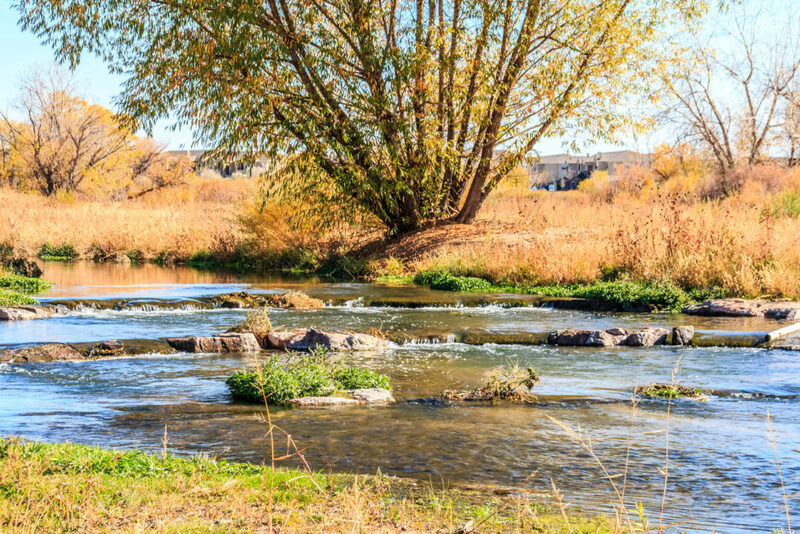 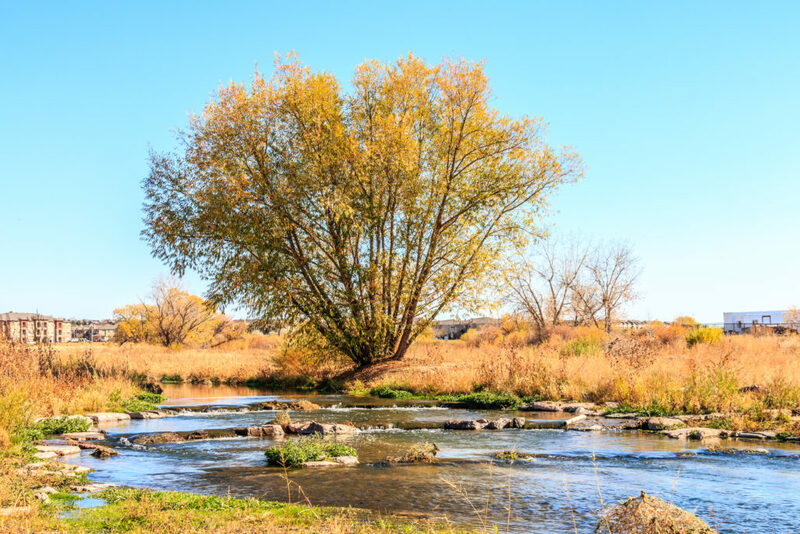 The construction of 4 rip rap riffle structures, a boulder cascade drop structure and repair of eroded shoreline created a safe floodplain allowing for safe water flow. 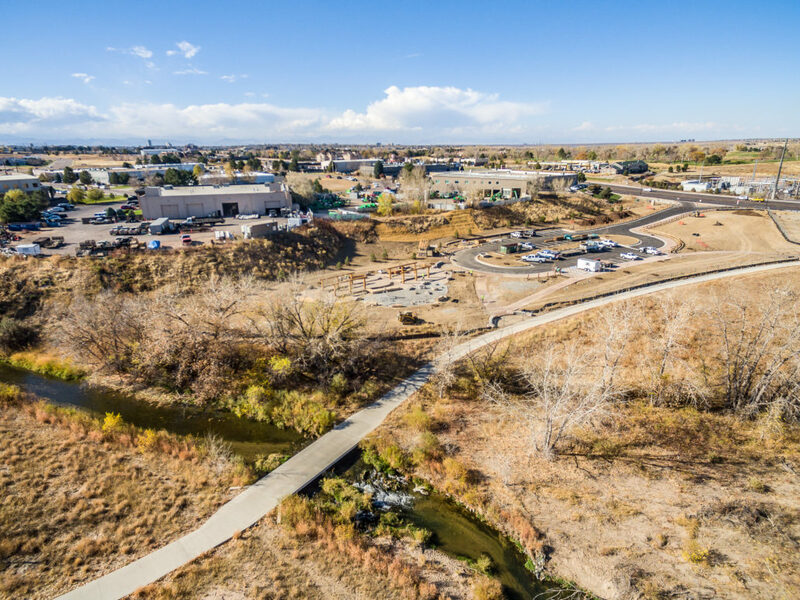 After a new trail was completed, bank protection was installed along with seeding, trees, shrubs and willows, completing the restoration.